Thank you Justin, that is quite some compliment. Emil’s work is brilliant and beguiling. Very cool landscape composition. The contrasting chair commands attentions, and missing back creates a sense of mystery and tension. Thank you very much. 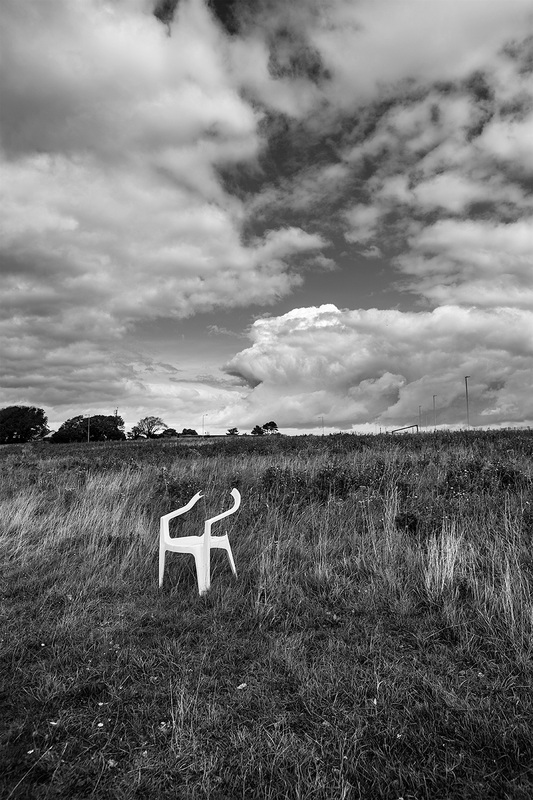 There were some great cloud formations that day and I was wandering around looking for something to compliment them when this broken chair came into view. There was a caravan parked here a few months ago and I used to see people sitting out on these chairs next to it, they are long gone but the chairs remain. Wonderful. Broken chair is an interesting comparison to some of the portraits of “broken” people” you’ve taken inside the pubs. Well done. True but hopefully we don’t get discarded because we are broken.